Every so often, someone tries to bring their own personal injury lawsuit after a car accident. While this is legal, it’s never advisable, particularly in Sacramento. California’s court system is complex and can be difficult to navigate. Here’s what you can expect an experienced lawyer to do on your behalf. The first and most basic job of your attorney is to give you sound advice about your case. This will include walking you through your case so that you understand what to expect at every step. 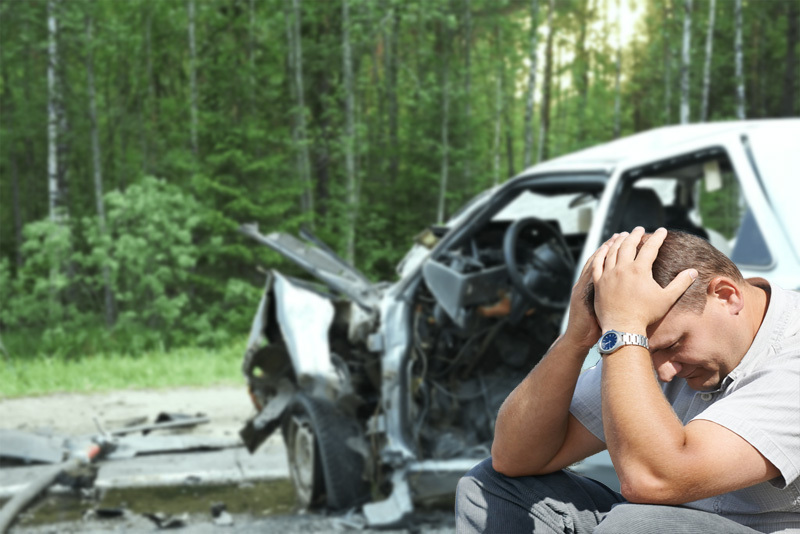 After a car accident, it’s natural to feel stressed and unsure, but an attorney can help you figure out what to do. Your attorney can tell you what to expect from insurance companies, what kind of evidence you’ll need to make an effective case, and when and where you’ll have to present all your evidence. After a serious accident, it’s common for insurance companies to go to work to protect their own interests. They may call you and ask for a statement, hoping that you will say something that they can use later to “prove” that you were not injured as badly as you claim or that the accident was partly your fault. 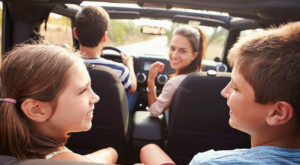 They may also try to find a way out of having to cover the responsible party in an accident, and there are some creative ways they can use to do this. Not every insurance company is untrustworthy, but it’s always a good idea to have Sacramento car accident lawyers on your side who know how to talk to the insurance company. In order to present a full-throated case in court, you will need to have a professional presentation of all the evidence. Someone needs to take witness statements in the right way, develop theories about what happened, fully investigate the scene of the accident, and find out about the responsible party. It might be necessary to bring in outside experts to help explain to a jury what happened or why it’s important. A good personal injury firm will already have contacts in various parts of the professional world that they can call in to help with your case. Some medical professionals have a lot of special knowledge about the legal issues when it comes to a car accident or other personal injury case. Legal professionals know just who to call to get you the help you need. They also know which medical professionals are able to explain things in court in a way that juries and other laypersons can understand. When you are badly injured, you can easily lose sight of the long game. Understandably, you will be focused on your immediate injuries and recovery. It’s hard to think about anything else—at least until the bill collectors start calling. When it comes being passionate about automobiles, everybody thinks about designing and making high powered luxury cars or modifying used luxury cars. Mr Wright, one of the co-founders of Tesla motors, on the other hand, put his foot in revolutionizing a huge, at times stinky and not so glamorous: Garbage trucks. While Wright had left Tesla in its early days to form Wrightspeed to make an electric sports car with a technology called X1 which was created by him; he changed his ways and diverted his concept. The technology that could have enabled a luxury car to reach 60 mph in mere 3 seconds was instead put to use to make garbage truck. The used garbage truck for sale were usulaly discarded or just stood there. Wright observed this and decided to make a change. He decided to make trucks that were fuel efficient, emission efficient and quieter. He worked on it and after several attempts, made the jet powered garbage truck or what Wright called it, a ‘drivetrain’. The Drivetrains exceeded the performance of the straight-six diesel engine and heavy gearboxes. 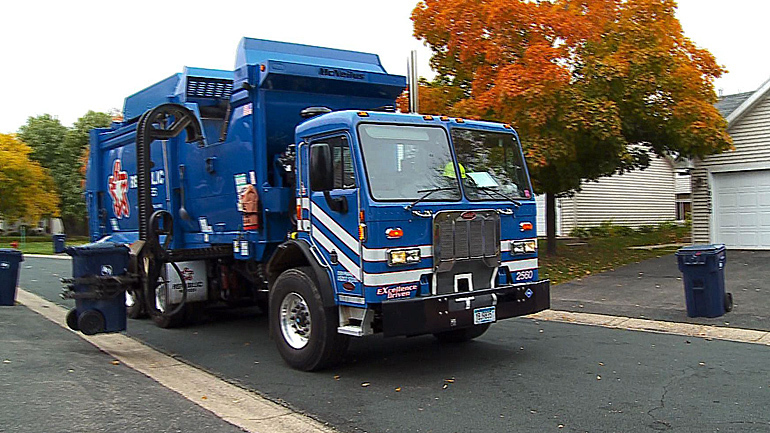 The trucks are powered by electric motors. The motors provide 400 horsepower. This makes the truck very powerful and gives it torque enough to trundle 40% grade. The fuel efficiency of the newly made garbage trucks was amazing. It could reduce fuel consumption by almost 70% and this was a great feature! The trucks are needed to start and stop frequently. Keeping this utility in mind, the trucks were imparted with a 1000 horsepower to stop. This was a desirable feature by drivers. The most dreadful thing about the garbage trucks was undisputedly its noise! The terrible noise it made every time it came on the streets was undesired. The innovation in the trucks made by Wright ran on electricity and was much quieter than. The turbine run engines were also very quiet. The turbine engines used are simpler to operate. The engines can be run on any fuel very efficiently. Wrightspeed intended to make the engines run on the readily available fuels like natural gas and diesel. The trucks leave behind the least pollution possible. Are you considering the different options for protecting your car’s interior? If so, you are probably surfing hundreds of different products online. However, until you take a deeper look into what your car’s interior really needs, the products you are looking at will not help you very much. Along with regular engine maintenance, you will need to maintain a schedule to ensure that your car’s interior remains in good condition so that you and your passengers are comfortable, and you feel good about your vehicle. So what should you be looking at? Let’s take a look. Choose a cleaner that protects your dashboard from the sun and heat that comes through your windshield. 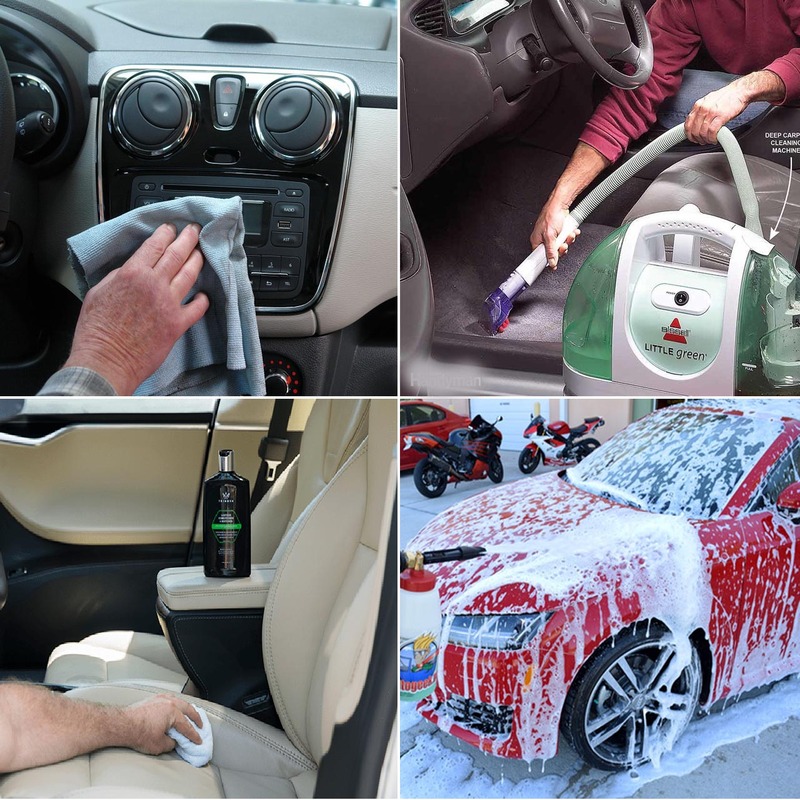 There are a lot of products available, and the recommended cleaner to remove dust and protect the material will differ depending on the climate and the type of vehicle you drive. If you choose a protection based cleaner that contains glycerin, or anything slippery to add shine, do not use the same cleaner on your steering wheel. Sweaty hands and a slippery steering wheel causes car accidents. Make sure to have your carpet cleaned regularly, with the proper type of cleaner, to protect its integrity. It should be vacuumed regularly to prevent snagging and tearing from debris, and floor mats should be in place at all times. When choosing seat covers, it may be tempting to choose the same cloth seat covers you always have. However, neoprene covers will ensure that spills and dirt do not make their way into the fibers of your seat, which will leave them dingy and stained. Unlike other types of seat covers, neoprene will provide water protection as well as protect the fabric from physical damage. Just like your electronics at home, your CD player and radio need to be dusted properly. This will ensure that they continue working at peak performance for the life of the system. Follow the manufacturer recommendations to clean your equipment properly and do it regularly. It may be tempting to allow your car to remain dirty on the outside. However, letting your paint remain dirty can wear away the clear coat faster, leaving your car to age prematurely. Scratches and dings on the paint should be fixed as soon as possible to prevent damage to the layers of paint underneath, as well as the primary material your car is composed of. Take time to wash your vehicle regularly and check your car’s exterior for damage regularly and take note of any damage that exists. This can be performed at the same regular intervals as you check your tires, which should be often. Perhaps if you have planned for a business trip or a corporate meeting or simply want to arrive at a wedding ceremony in a high style – for this the luxurious Limo service Houston is the most effective and ideal one. The location is never a problem for these limo services and you can easily reach your desired destination with comfort and elegance. 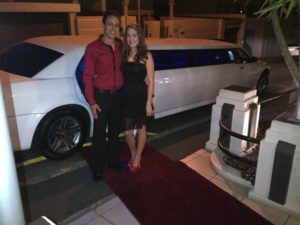 The limos from different Limo service Houston are usually boasted withluxurious as well as poshinteriors for a more pampered and comfortable ride. These limos are generally possess a huge range of features, such as mirrored ceilings, in-vehicle multiple flat panel TV’s, DVD/CD players. Alongside, you can also find desired climate controls facility, flash driver ports, latest sound systems, fiber-optic lighting and even have a complete set of bars with stemware, glasses, and ice chests simply to keep passengers entertained as soon as they step inside these limousines. Even each of these limos has its own individual light displays just to check which vehicle perfectly matches the style of your group. For this, you can simply give a call to these services in Houston in order to plan your transportation. Limo service Houston is available for late-night occasions so that you no need to end the party early. The professional drivers from these limo services are also quite safe and have good driving records, which ensure that you and your family or friends will stay in safe hands during the entire ride. To complement these limousines service in a much better way, these Houston limo services offer various types of packages along with a free complementary drink so that you can make your limo ride a memorable one. The foremost key factor of Houston limo service is that these limo service are customize to match customers’ schedules perfectly without any delay Even the service is also world class and the rates are also very much affordable. Over the years, the limo services have become much popular around Houston especially for their fully experienced and trained drivers, on-time arrival, transport to your destination safely and even pick you up from your desired location. The vehicles are insured, licensed, and also provided with nonsmoking zone to keep the entire limos interior in a complete pristine condition.There also another greatest reason why so many of customers prefer to choose Houston limo services for each of their transportation needs – reliability together with style, comfort, or even for the standard of expertise during every trip. Above all, limo services offer a fleet of vehicle that are readily equipped with state of the art facilities and functions just to suit your ideal transportation requirements.